Toronto, a City filled with places to see and things to do, for people and their dogs. 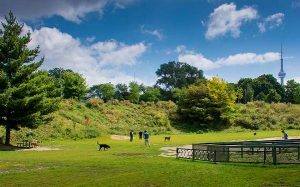 There are several dog parks you can take your furry friends! 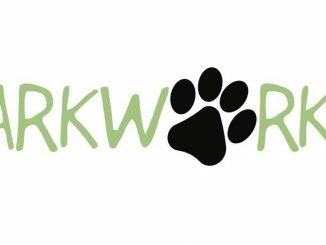 Fortunately there are a bunch of dog parks around, but unfortunately there are too many to all be described in this blog post. 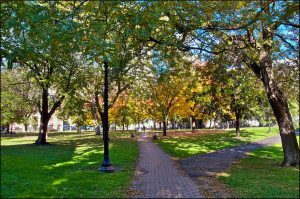 Each of these parks have unique features and I encourage you to check out all of them! 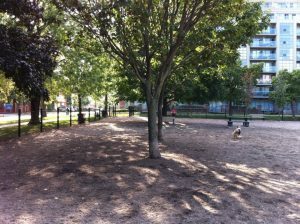 There are several dog parks in Toronto, but Trinity Bellwoods Park in the Liberty Village area is of worthy mention as it is a thriving community for dog owners. It is also one of the largest greenspaces in downtown Toronto at 36 acres. 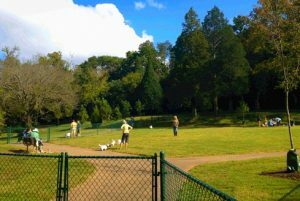 The off-leash dog area is often called “the dog bowl” because the park is naturally dipped down creating a “bowl” like area. 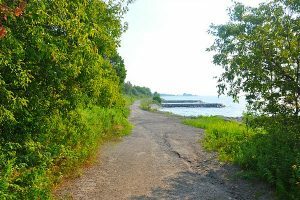 Scarborough Heights Park offers open trails, with waterfront views and a parking lot. It also has a large, fenced off-leash dog area for the dogs to stretch out their legs. 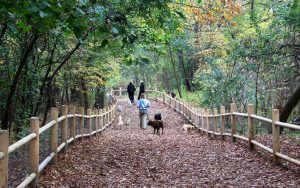 About 45 minutes away in Vaughan is Concord Dog Park, which is a very popular 4 acre park that has numerous trails and a dock with access to a river. The park also has a dog shower for the pups who love to get muddy and tennis courts for the athletic humans! 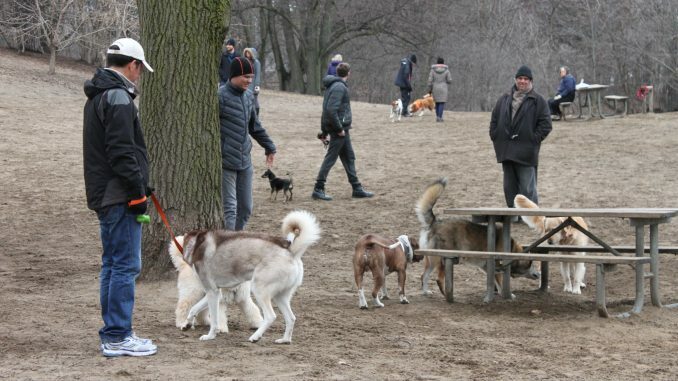 High park is another very popular dog park, well known for its expansive greenspace offering off leash trails. 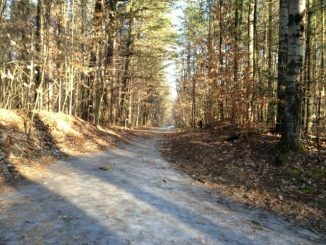 There’s lots to explore in this almost 400 acre park for you and your pups! The last park we chose to mention is Allan Gardens, one of the oldest parks in Toronto. This park features a large park with a drinking fountain and wading pool. It also has two fenced off-leash dog areas. 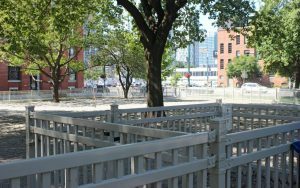 Clarence Square Dog Park is located in downtown Toronto. The dog park has numerous trees so it is quite a shady area. One of the main differences of this dog park compared to others is that the off-leash area is covered in pebbles instead of grass. This park would be perfect for the pups who love to roll around in the mud maybe a little too much! South Stanley Park has a fenced off-leash dog area for your dogs to stretch out their legs and get in their social time with other dogs! Active lifestyle is important for both dogs and their owners. Be sure to check out other surrounding parks using the Bark ‘n Yapp web application!